Prangli Island is is the closest island to Tallinn that has maintained its native population and culture. 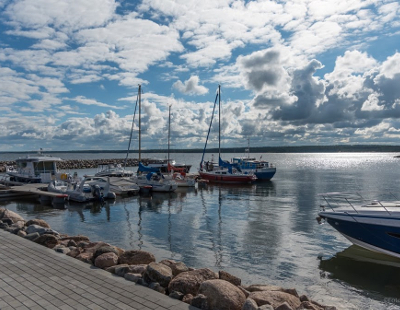 It takes 1 hour from Leppneeme port (30 minutes from Tallinn city centre) by ferry to reach the island. It’s also possible to order transport to the island by motorboats or yachts. Prangli Travel has been organizing team events for both Estonian and international corporate clients for more than 5 years. We can organise one-day and multi-day activities, according to your requirements. You can order sightseeing tours, accommodation, meals, transport and a wide range of activities and entertainment for an exciting change to your summer days or company events. It’s also possible to combine your summer days or company events with some of the Island’s scheduled program of events, such as concerts and sporting events. The price will depend on the size of your group and the activities and options you choose. The maximum group size is 150 people. Please contact us well in advance, so that we can make you the best offer. We can offer favorable prices if you arrange your event during the working-week! Transport from Tallinn to Leppneeme Port. Transport to the island by ferry, RIB, motorboat or sailing boat. 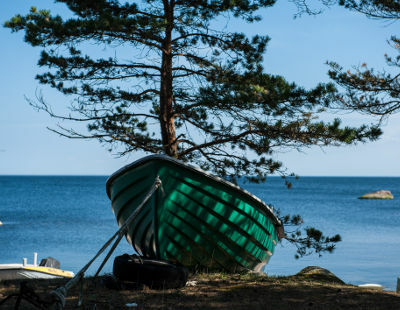 Sightseeing tours on the island in Estonian, English, Finnish or Russian. Catering at the seaside restaurant, local farm or privately at the beach. Accommodation at campsites or tourist farms. Different employee incentive activities in a natural, outdoor environment. Seminar rooms in the Community House. Party rooms in the old fishing-factory barn at the port. Our company’s summer days took place on Prangli island with the help of Prangli Travel. Thanks to you we had an amazing day with everything running smoothly. The guides Kristiina and Helen were were very positive and attentive. Our island tour with them was great. We learned a lot about the history and heard great stories and legends of the island. The food offered was very tasty! We will definitely recommend you to others! Thank you for organizing the summer days for our company! Everybody were satisfied. Berit, our tour guide was great! The trip was very nice. Special thanks to our guide Berit who made the trip especially memorable. Seems that you have found a real rare pearl – hold on to her! We really appreciate your help to organize memorable day on the island. Wonderful time on Prangli island! Many thanks to Prangli Travel! We visited Prangli and Aksi Island with our team. It was perfectly organized and professional. Thank you for your hospitality! We offer all-inclusive experiences for tourist groups visiting Prangli island with having ferry transport, delicious lunch and a tour with on an open- top trucks. We offer exciting seal watching trips for groups in North Estonia. his is all-inclusive guided tour with bus transfers, lunch or dinner at a seaside restaurant and real wildlife experience is available from April to October.